Welcome to the first step of creating your website! A domain name is the address people type in to access your site. It can end in .com, .net, or some other extension. You just have to check and make sure the name you want is available. Domains are paid for yearly and most registrars will give you a discount if you reserve the name for multiple years upfront. 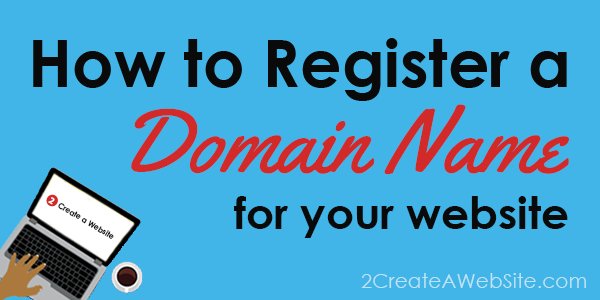 Before you rush off to grab a domain, watch the video below so you can discover how to get the best name. If you register your domain at Website Palace, you’ll get access to a free WordPress guide and video that I created to help you learn WordPress — the free CMS that I recommend you use to build your website. So if you’re a person that prefers to learn with a guide or video, you won’t get that kind of help at other registrars. Domain name forwarding will let you redirect one website to another. Let’s say you register the .net and .com version of a domain, but you create the actual site on the .com domain. You can redirect the .net version to the .com site automatically. This service comes free with all domains registered at Website Palace. Rest assured it’s just a re-branded reseller site for the #1 domain registrar. Same company. Same products. I pay yearly to market their services in exchange for a commission when you sign up. So I promote them through my re-branded website because of the financial arrangement. You’re getting the same, top-notch support that you would get if you registered directly with the parent company. I also use them for a few sites, so it’s not like I’m sending you to a website I do not use myself. I’ve also been reselling for over 10 years and have nearly 75,000 customers hosted there. I appreciate your support if you do choose to start your site here, and I offer the free video to encourage people to sign up from my site. You won’t get that video anywhere else. Ready to sign up? Go to http://www.WebsitePalace.com and enter the name you wish you to register to see if it’s available. But don’t proceed to the checkout process until you’ve read about hosting. You can’t create a website without hosting. If you need more guidance on how to start and use WordPress, take my video course.